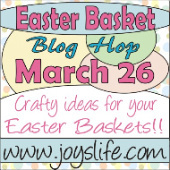 Simply Silhouette: Easter Basket Blog Hop! The Easter Basket BLOG HOP! For this hop I made some really cute goodies! MTC file posted by user 714. Your next stop is Abbey! Love the bunny pop idea. SOMEBODY going to be realLy HAPPY EASTER MORNING! This is fantastic. So much work for you! But you did a great job. Love all the projects. I am a big peep fan. the bunny pop covers are great. Also love the colors. I am your newest follower. Hope you will hop over and follow me too. love the little carrot box!!! you have been busy!!! How precious! So beautiful. I'm already a follower, liked you on FB, and posted your blinkie on my blog. Thanks for sharing your wonderful talent!! What a lot of work you did! This stuff is too cute for kids! I am now a follower! I don't have a blog, but maybe I need one???? I just love all of your projects. Julie--everything you made is so adorable! You sure were busy. I am a follower but I can't post your Blinkie cuz I don't have a blog. Sorry. Thanks for the chance at a great giveaway and have a Happy Easter! AMAZING STUFF!! 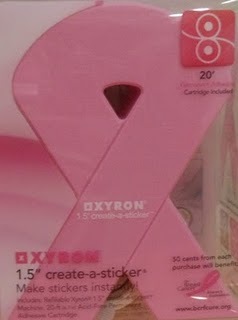 So jealous of the pink ribbon xyron!! that's great!! glad i joined this hop! I love all of your ideas! Several of them are going to show up in the Easter Baskets at my house! Super cute!! I love the bunny pops! TFS! WOW! That whole thing is SUPER CUTE!!! I love all of it! 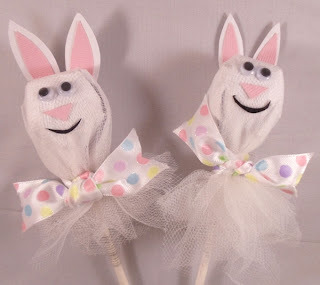 I just adore the bunny pops! How clever and cute! Thanks for the great blog candy! OMG, all of your projects are so super cute!!! Some of these may be finding there way into my kiddos baskets this year :0) So, glad to be in this hop with you.. Your creativity is just amazing and we can all lesrn from it. Thanks for sharing and making this hop so much fun. Thanks for chance to win your giveaway. love all the things you did with the candy!! The peeps are so stinking cute! !thanks for sharing and I have been a follower for a while now!! and Pretty sure I have your blinkie on my blog..I will go check after I am done hopping!! Thanks for being part of a very fun and Inspiring Hop!!! OH MY GOODNESS!! I wish you could hear me talking about how AWESOME all of your creations are! I LOVE everything you made! I'm inspired!!! You are FANTASTIC! Thank you for being in the EB blog hop...you ROCKED IT! I just love your projects, they are all so cute, so much better then the packaging they come in. TFS. And thanks for the chance to win. I am already a follower. WOW... i mean WOW!! All your projects are so adorable! I love them all! thanks so much for sharing and the chance to win. AWESOME!!!! You did a great job, I love all of your projects. Thank you for sharing. 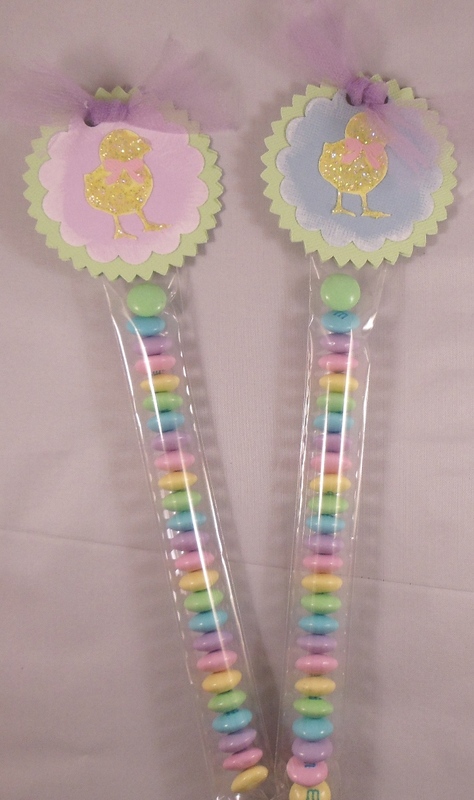 Love, love, love your Easter basket goodies!!!! Wow...this is so beautiful. I love it. Oh my gosh!! 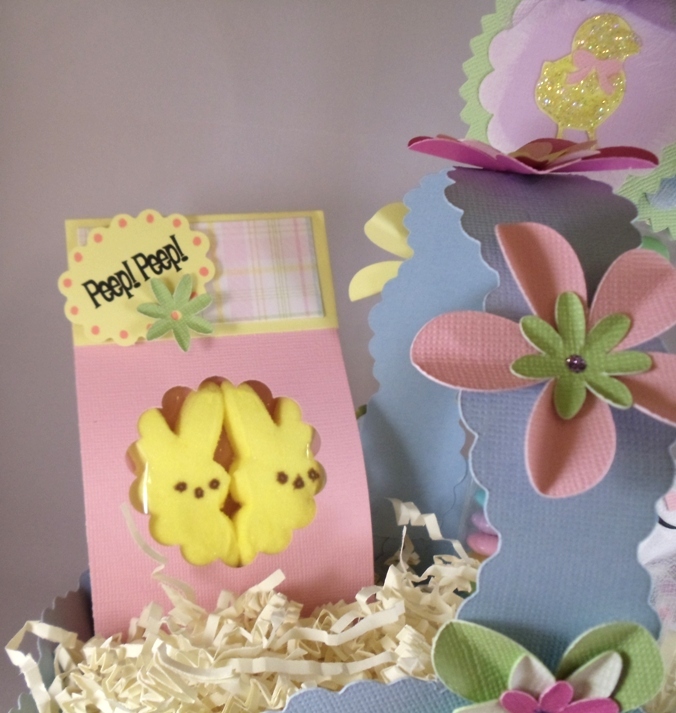 I just love the peep box! Your whole project is awesome!! 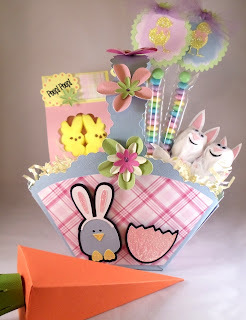 Your basket Julie is adorably done! Everything from the colors, shapes, items used and the basket itself bring an Easter smile to me. Great job and TFS. Love all your decorated candies. Makes all those little treats extra special! I love all the great things you put in your basket. I don't think about taking everyday things and making them pretty. Thanks for sharing. Your basket is beautiful! I am a new follower. I absolutely love everything you made! So CUTE! I love your bunny pops too. They are a great idea! OMG, I just love everyone of your projects, they are fabulous, tfs!!! I love all the altering that you've done! Very creative and wonderful presentation! I'm a new follower and found you through the blog hop...love your blog! Oh my goodness those peeps are killing me ^__^ They look like they are saying, ha ha you can't get me. Terrific basket and love all the goodies you made for it too! OMGoodness!!! Those bunny pops have got to be the cutest and most creative thing ever!!!! You did an amazing job on that basket and goodies. I just love it. Wow - Love everything about your project! That is a lovely Easter basket to receive! Who'll be the lucky one? Thanks for the opportunity to win! I love all your ideas! Thanks for hoppin' with me! Everything is so cute! I love the peep peep bag!! Such cute ideas! Love all of them. Your projects are so fun!!! 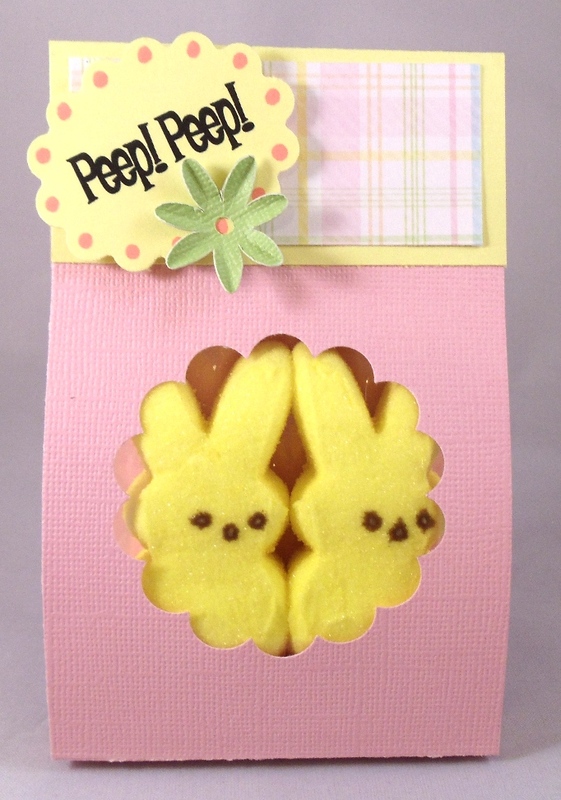 Love the bunny pops and the little pack of peeps. So cute!!! Love your Easter basket and all the goodies! 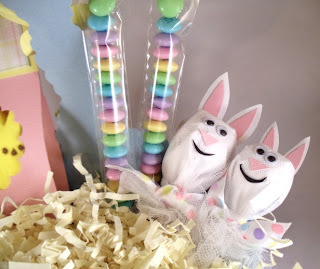 Love the M&M sticks and the bunny pops! Thanks for sharing! Love everything, you really went all out! The M&M sticks have to be my favorite though. Very Cute! You did some fabulous work on your projects. They are all adorable. I love the bag of M&Ms. So cute. I'm a new follower. Thanks for a chance to win. Beautiful projects!! I love all that you did. Great job! love your great ideas and thanks for the chance to win a great gift. Your blog and project are cute! TFS! New follower. So, so cute. Love that basket. Love the basket. There are so many details, all different,yet match well. Too stinkin' cute!!! I am so going to make your items for my granddaughters' baskets. Elegantly simple, but they add so much to the whole! Just a few candy pieces look like lots and lots. Thanks so much for the great ideas Cricut Chick. (Will you be changing your name to Silhouette Chick, Cougar Chick or Lynx Chick sometime soon?) Hee, hee. Cute basket. Love the George flowers! And the Chick bunny...so cute. Super sweet! I love it! Its beautiful! Love the basket so cute, really like the bunny pops so inventive!! all of the treats are so cute!! Maybe too cute to eat :) (which might not be a bad thing LOL) Thanks!! Cute ideas! I love the re-packaged peeps! I already follow you and already have your blinkie on my blog. I LOVE visiting your blog, it gives me great inspiration! Wow what a cute idea and alot of work. You are very creative. 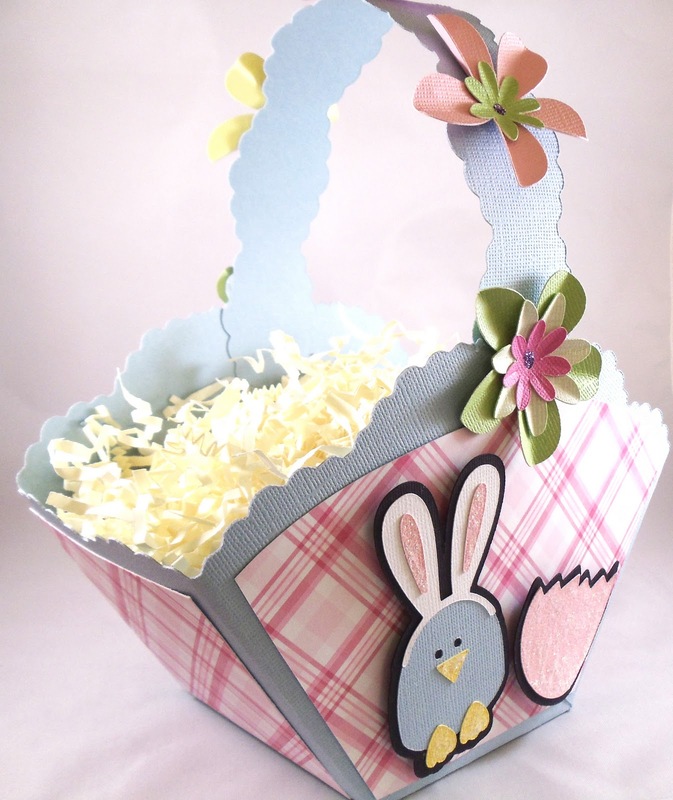 Will you be posting the file for this cute basket? I would love to make this for my grandkids. So adorable! I love the bunny pop and well I love all of your projects! I'm trying to decide which one of these ideas I'm going to lift and use for Easter gifts for my nieces and nephews. wow, what a ton of work you put into your easter basket goodies, I LOVE the bunny pops, those are my favs!! Oh that is sooo cute! TFS!!! This is super cute!!! Love the peeps and the m&m tubes!!! YUM!! I am loving your adorable easter basket, the bunny pops are adorable. This is adorable and I love the peeps and the bag. Thanks for sharing!! Great projects!! Those peeps are making me hungry :) Nice work! Fabulous! This is exactly the kind of Easter basket I would want to receive!!! Everything is so super awesome!!!! TFS! Love your projects, especially the peeps in their own packaging. I have got to do that. great idea. Wow, those are all such adorable projects! Love everything! Amazing projects & so colorful! So creative! Love all the Spring colors! Great Hop! I am a new follower. Love your projects. Loved. loved. loved the packaging. Definatley something I will be doing. Thanks for sharing. 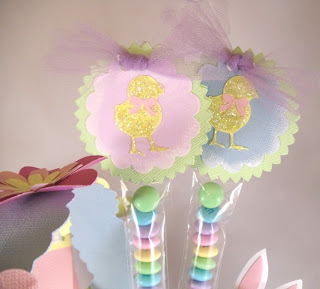 Can hardly wait to see whats next...the Easter basket is as cute as can be. Seeing some real creativity on this fun blog hop! Keep up the inspiration! TFS! Such cute Easter crafts, Love them!!! Just started following you and I love your work. I'm just starting out but stop by my blog if you want. Thank you for the chance to win!! Love the color combinations. Bright and cheary cute baskets. I am a follower. I love the m and m sticks that is so cute. Very Very cute!! What did you use for the M&M plastic? I really want to make them this year. Thanks!